While on a sailing trip in the Baltic Sea, two young adventurers-turned-spies uncover a secret German plot to invade England. 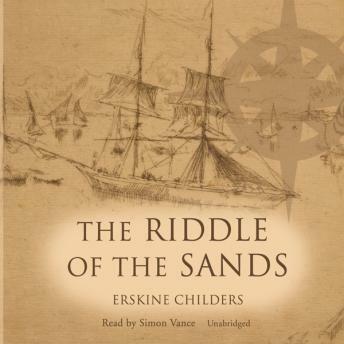 Widely recognized as the first modern spy thriller, this 1902 lone masterpiece by World War I Royal Navy officer Erskine Childers was written as a wake-up call to the British government to attend to its North Sea defenses. It accomplished that task and has been considered a classic of espionage literature ever since. Praised for its nautical action and richly authentic background as much as for its suspenseful spycraft, The Riddle of the Sands is the brilliant forerunner to the realism of Graham Greene and John le Carré.